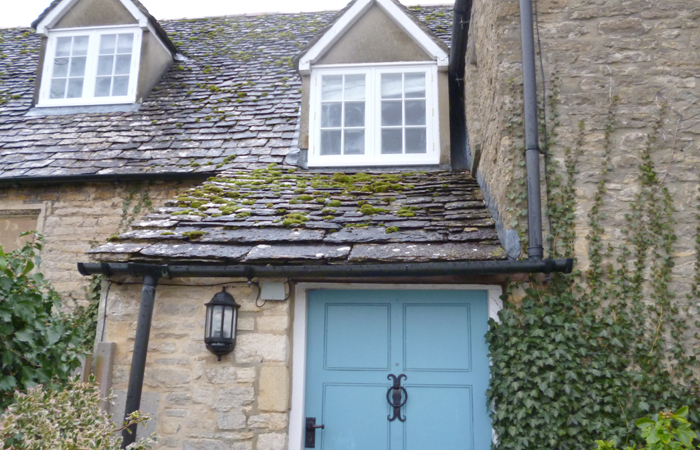 Stonesfield Slate is a type of Cotswold stone that was named after the local quarry in which it was found. The quarry was still being worked right up until the 20th century. 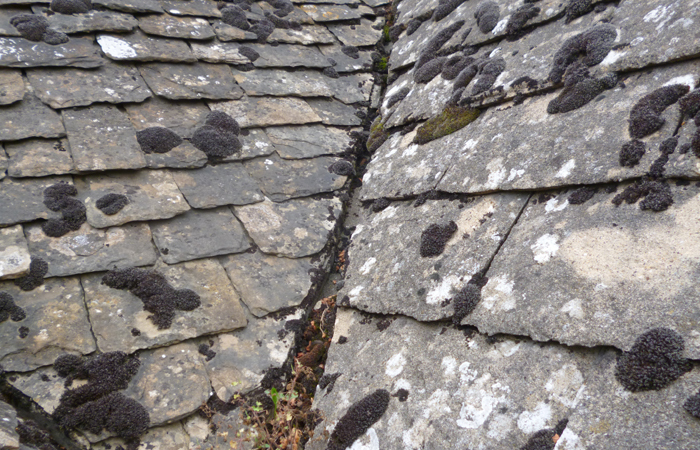 Consequently many houses in the local area have Stonesfield slate roofs. 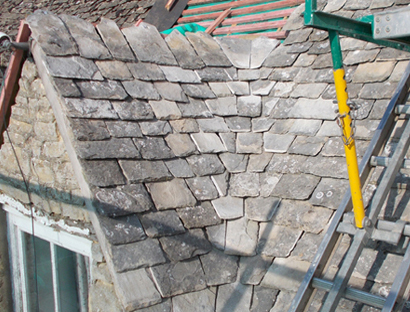 Companies such as Bradstone have developed a range of roofing tiles to mimic the Stonesfield slate but restoration of properties with this particular type of slate now rely on reclaimed materials as it is no longer available. 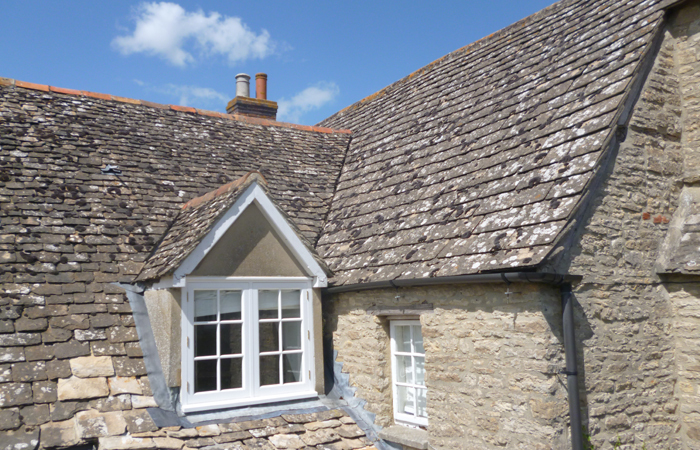 The original Stonesfield slate roofs are unique in their construction and only a true craftsman can replicate the original work. 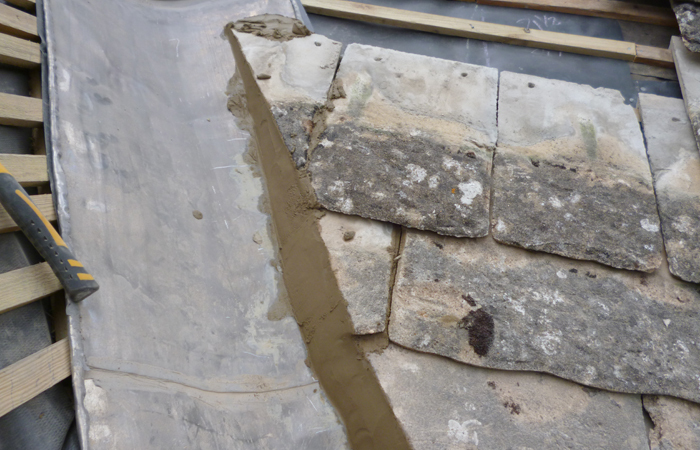 The stones were often laid in the style of the roofer of the day and they are not uniform in size as they were all hand cut. These roofs are fashioned with the largest tiles at the bottom working up the roof so that the smallest tiles are on the ridge. 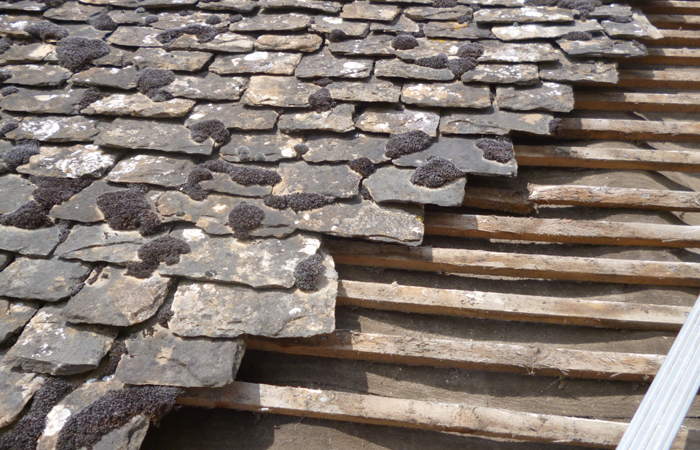 If the roof is a The original Stonesfield slate roofs are unique in their construction and only a true craftsman can replicate the original work. 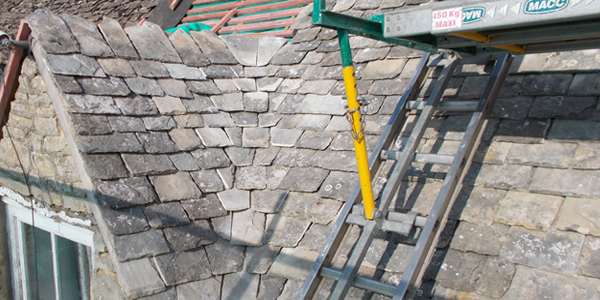 The stones were often laid in the style of the roofer of the day and they are not uniform in size as they were all hand cut. These roofs are fashioned with the largest tiles at the bottom working up the roof so that the smallest tiles are on the ridge. 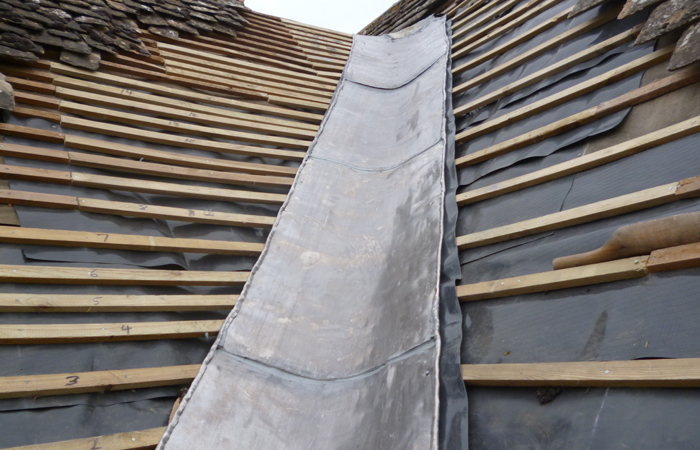 If the roof is a complicated shape only a traditionally trained, skilled roofer will be able to achieve the traditional finish.